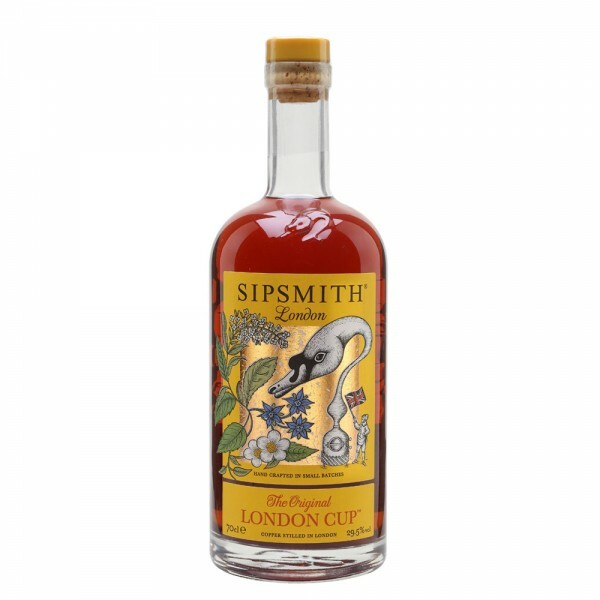 Sipsmith London Cup is the grown-up alternative to Pimm’s from the talented Sipsmith team. This refreshing and aromatic gin-based cup is inspired by the ubiquitous punches and cups found in 1800s London. By blending their award-winning London Dry Gin with Earl Grey tea, lemon verbena and borage, the team have given this traditional cup a touch of Sipsmithian flair. The result is a sublimely sippable summer cup full of character, citrus freshness and boasting a truly unique flavour, perfect for all-year-round drinking. The nose: burnt orange wand hints of caramel, delicate cucumber and tea leaves. The palate: zesty marmalade gives way to rich herbaceous notes and traces of cherry, balanced with fresh meadow-sweetness. The finish: interwoven notes of scorched oak and undercurrents of bittersweet spice make for a refreshingly dry finish. Pop in a couple of pieces of ice into a wine glass. Measure out the Sipsmith London Cup and pour it over the ice. Fill the rest of the glass up with the lemonade and finish off with a wheel of lemon. Enjoy!